Discussion in 'Intermediate CJ-5 and CJ-6 Tech' started by mrtii, Oct 22, 2018. 64 to 71 didn't say anything. 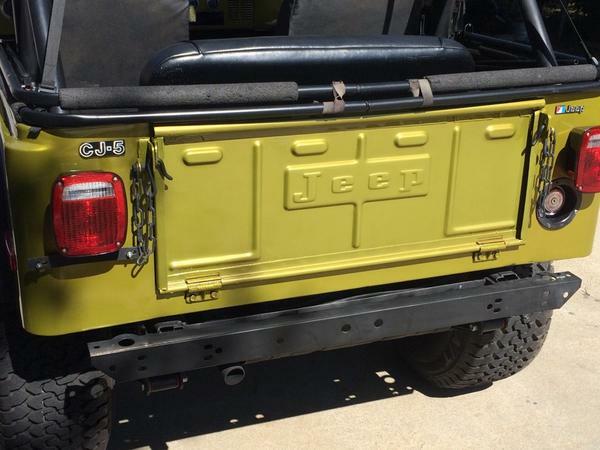 I thought that 72 started the Jeep on the tailgate. Maybe an early 72? '71 I know for a fact had the AMC badge on the tailgate. Lower left corner iirc and it was removable, stuck on with double sided emblem tape. I still have one around here somewhere. Not sure about '70. '75 CJ-6 showing Jeep lettering and AMC badge. 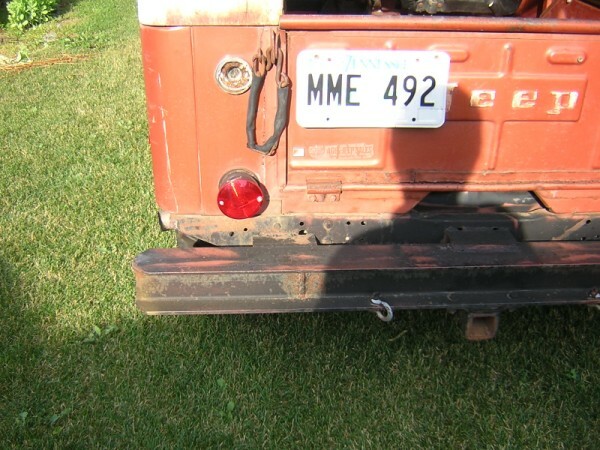 AFAIK AMC started to apply the AMC badge as soon as they took ownership of Jeep, ie 1970 or '71 at the latest. 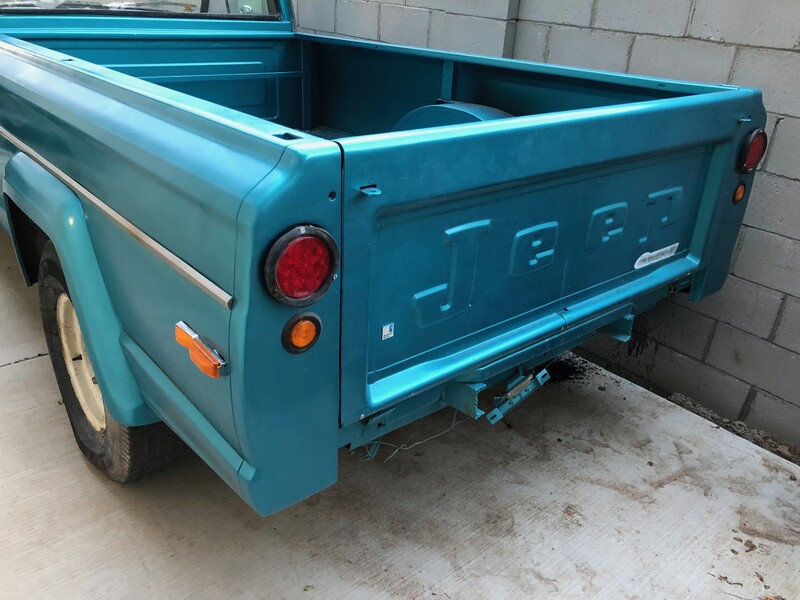 If the OP has a tailgate that looks old with no lettering or badge, I would suspect that the tailgate was replaced back in the day with the earlier type service part that has weathered along with the Jeep. Some changes were made for '71 in particular, but most could have been in the pipeline before the takeover. The changes in '72 were mostly converting to the AMC engines and upgrading drive train components. Wheelbase was lengthened to accommodate the AMC inline sixes. The complete makeover was in 1976, when almost everything that had not been changed in 1972, changed. Should be embossed or stamped raised lettering, but to be sure it's "Jeep" just like in timgr's pic, and not all caps.